Bone fractures and broken bones are common car accident injuries due to the force of the impact on a person’s body. It’s not unusual for a car wreck victim to experience multiple fractures. A broken bone can be serious, very painful, and may take a long time to heal properly. In addition, it may require costly surgery and therapy to correct the problem. You may miss work and may lose quality of life for a period of time. A serious bone fracture or break may result in long-term disability. 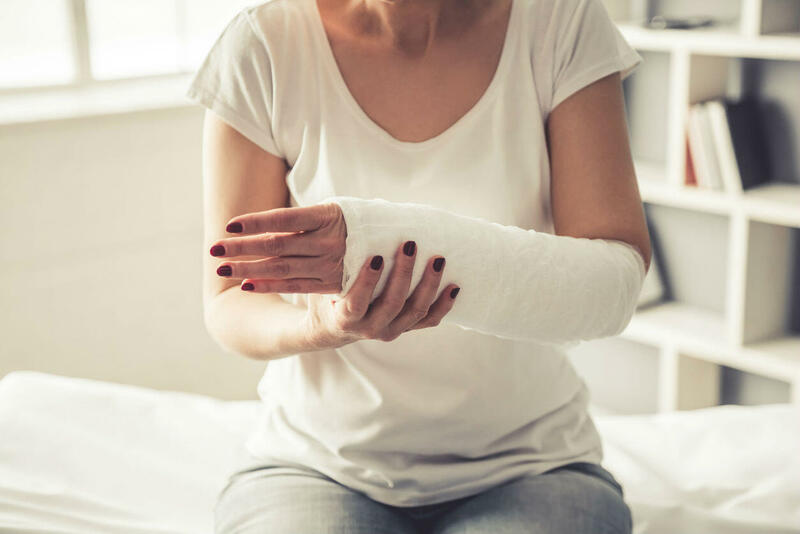 If you or a loved one have suffered a broken bone or bone fracture because of an accident, you are likely facing lost wages, medical bills, pain and suffering, disability, loss of a normal life and changes in the relationships with your loved ones. Facial injuries are a common result of car accidents. Any part of the face can get injured or fractured as a result of the impact of an accident. A victim can suffer a nasal fracture when the face or head is impacted in the crash. This can happen if the victim hits the dashboard, window, steering wheel or seat, or during the airbag deployment. The treatment of a nasal fracture depends on the severity of the injury. While minor injuries are relatively easier to treat, the more serious ones may require surgical intervention, including reconstructive surgery. It is important to note that a person may not experience any symptoms of a broken nose for up to three days after the injury. It is important to seek immediate medical attention if any of the above-mentioned symptoms are experienced. Anyone who has been injured in a car accident, irrespective of the seriousness of the injury, should see a doctor to rule out any serious injuries that do not show immediate symptoms. The diagnosis of a nasal fracture may involve a physical exam of the nose in which the external and internal condition of the nasal structure is thoroughly examined. An X-ray is usually not required to diagnose a nasal fracture. However, if the doctor suspects other injuries as well, then an MRI or CT scan may be ordered. Minor nasal fractures that do not involve profuse bleeding or deformity can be treated with simple remedies such as pain medication and icing the injury. A doctor may perform a closed reduction to realign the broken bone. In this case, the patient is given local anesthesia to minimize discomfort during the procedure. Severe fractures may require surgery, which can be done on an out-patient basis and usually involves a recovery period of about a week. The first thing you should know is that there is no reliable way to diagnose a broken bone at the scene of a car crash. Even if you hear a crack and feel significant pain, you will not understand the full extent of your condition until you receive an X-ray. Still, as we’ve mentioned, there are a few tell-tale warning signs to look out for. They are extreme bruising, swelling, deformity, and a certain “crunchy” quality to the skin on top of the bone. If you notice any of these symptoms, you may have sustained a bone break and should take action immediately. The severity of a broken bone depends on two primary factors. First, there is the type, which can be closed, open, compound, spiral, and more. While this is a crucial detail, you will not know what the nature of your damage is until you see a doctor. Second, the area of your body in which the break occurs is critical. A broken finger will be incredibly painful, but almost never life-threatening. On the other hand, the same injury to your spine or skull could be lethal. The best practice for any level of severity is to seek medical care right away. If the car accident in which you broke your bone was another person’s fault, you might have a right to compensation. When you pursue it, your success relies heavily on your medical information. It does so in two ways. First, you should receive payment for your medical bills, which could be quite large due to the nature of broken bone treatment. Second, the doctor’s assessment of your injury is critical in predicting how much you deserve outside of simple medical bills. Though a broken bone can be debilitating, the one silver lining is that your level of compensation for it could be very high. The reason for this is the costs and lifestyle changes associated with broken bones. 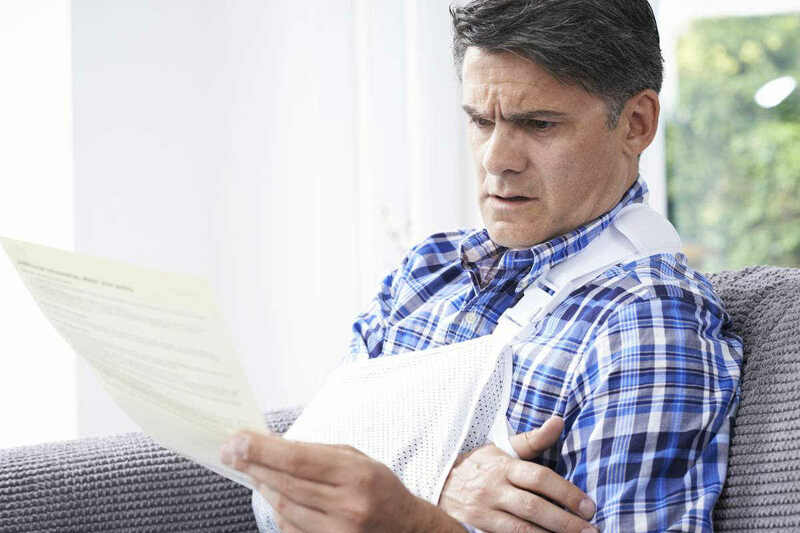 If your injury amasses a significant amount of medical bills, keeps you out of work, or effects your life in some other meaningful way, you and your lawyer may be able to obtain a substantial compensation package. If you happen to get into a car accident and break a bone, you will likely feel a significant amount of pain and frustration. Additionally, you could accrue medical bills and have your lifestyle change for some time.